In 2018 SmasterSelect had a growth of 110% (and counting) compared with previous year. One million active users. 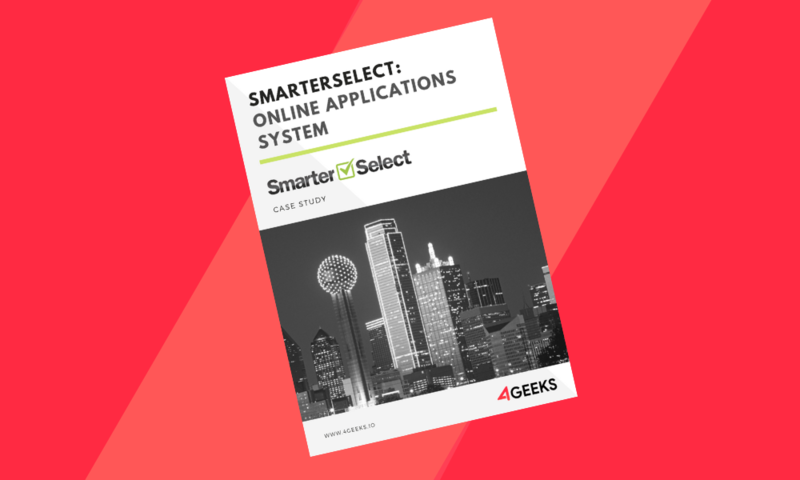 SmarterSelect helps companies to manage grants, scholarships, awards, and other application-based processes. They enable partners like Texas Tech University, San Angelo Area Foundation and Vermeer to manage online applications. Download this full document to learn details about the problem and the solution we implemented, the technology stack and team as well.